The Hollywood Studio Alliance and the Consumer 4K Coalition announced today that for at least one year they would offer free eye surgery to purchasers of a 4K TV and a package of ten 4K movies. 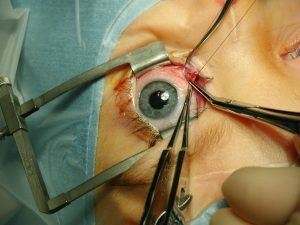 Dr. Etaoin Shrdlu of the World Ophthalmic Enterprise said that arrangements had been made to offer the free surgery in 72 countries, with traveling teams of doctors covering the remainder of the planet, including Antarctic bases. The free surgery offer will be available for exactly one year. “But it will continue to be available for a nominal fee after April 1,” Dr. Shrdlu added.